We live in a world that can be cruel and unforgiving. Often times, we may find ourselves feeling doubtful, inadequate and a list of others but the fact of the matter is, we all have a purpose. Everyone has talents and attributes unique to only themselves. 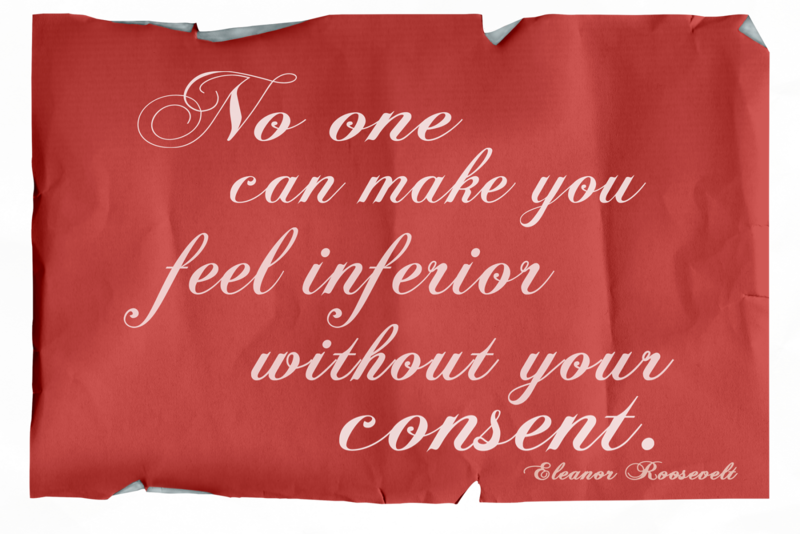 Eleanor Roosevelt said it best, don't give your consent to the world. 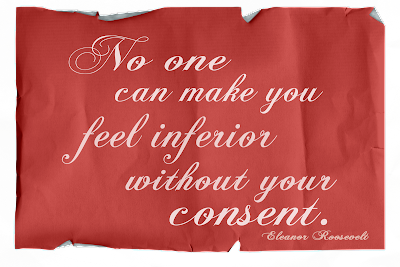 There is no circumstance in life that warrants someone the privilege to make you feel inferior. So, choose to be happy and never give up or give in. You can do it! We all can!